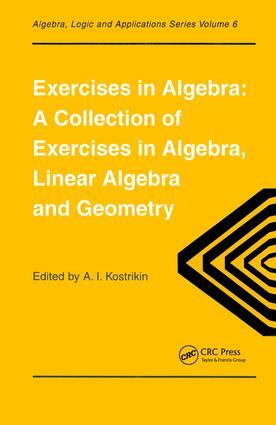 This text contains more than 2000 exercises in algebra. These exercises are currently used in teaching a fundamental course in algebra in the Department of Mechanics and Mathematics at Moscow State University. The text is divided into three parts, which correspond to three semesters of study. Each section contains not only standard exercises, but also more difficult exercises at the end of some sections, these more challenging exercises being marked with asterisks. At the end of the book, results of calculations, a list of notations and basic definitions are given.